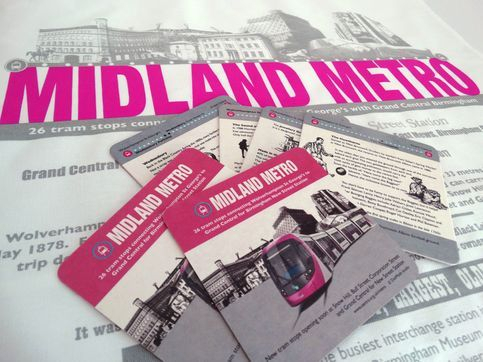 The commemorative Midland Metro facts tea towel and set of six beer mats. The commissioned set of six Midland Metro beer mats can be found in alehouses, taverns and pubs around Birmingham and the Black Country. The designs tell stories about the twenty six tram stops along the route.